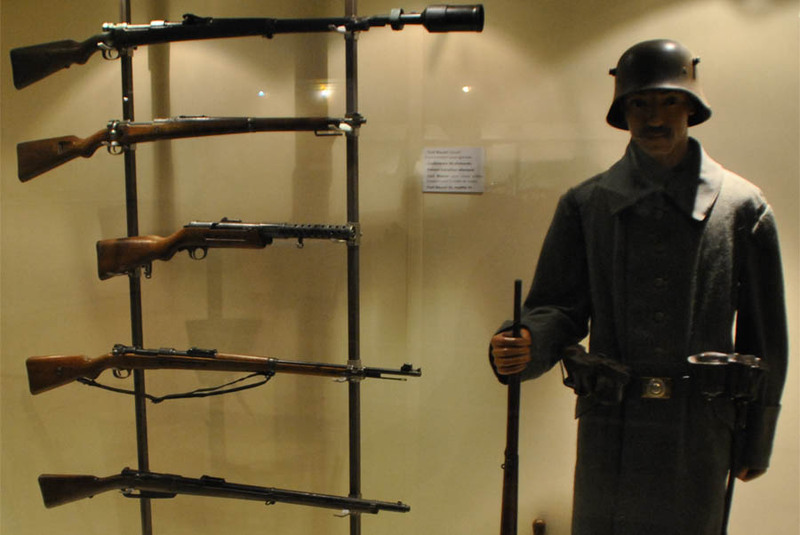 Some of the machine guns displayed at the Memorial de Verdun. 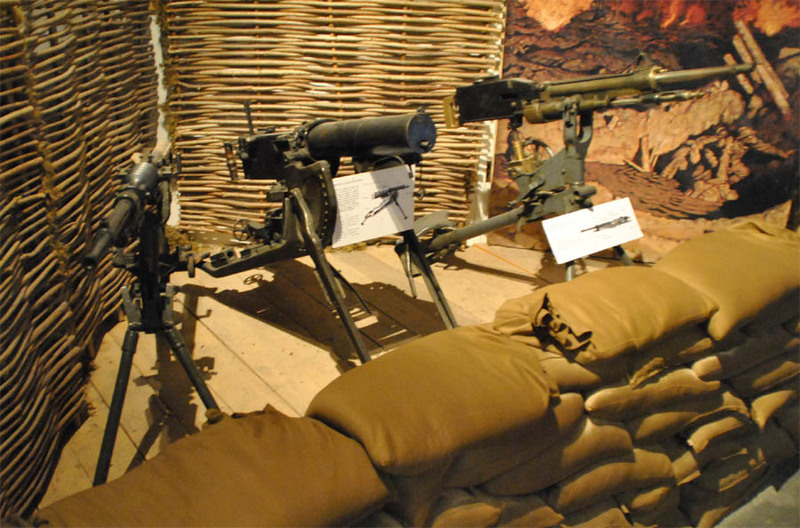 The machine gun was a new and fears weapon during World War I. 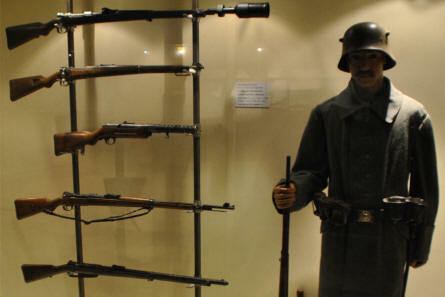 A German World War I uniform and weapons displayed at the Memorial de Verdun. 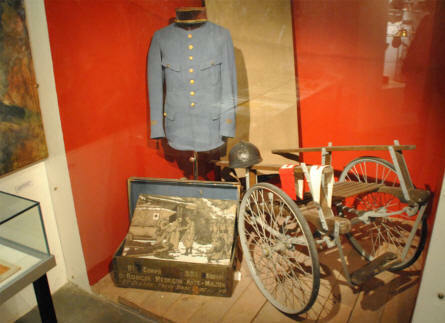 French World War I uniform and medical equipment displayed at the Memorial de Verdun. 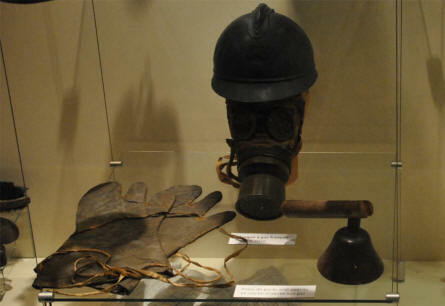 Some of the most important items from World War I displayed outside the Memorial de Verdun - a gasmask, a warning bell (for gas attacks) and glows for the barbed wire on the battlefield. 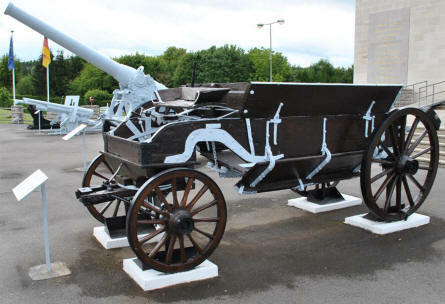 A horse-drawn wagon and some of the canons displayed outside the Memorial de Verdun. 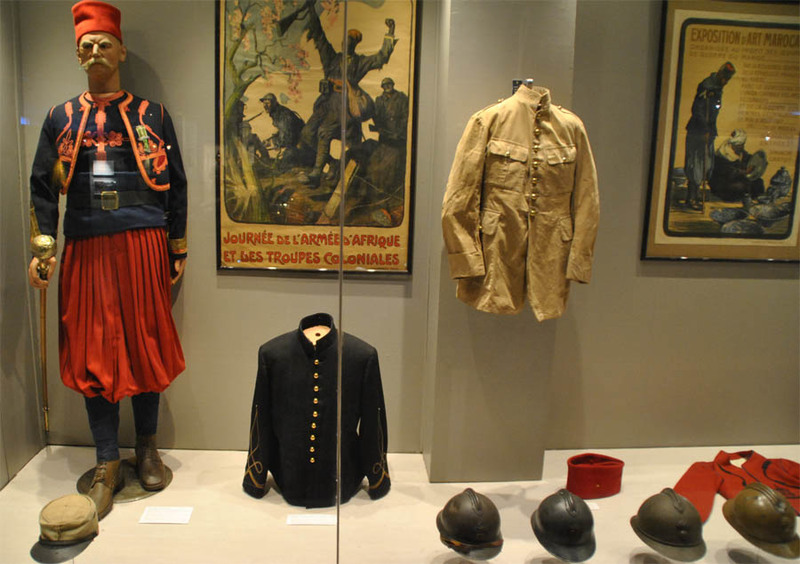 French colonial World War I uniform and other items displayed at the Memorial de Verdun.